When you’ve just spent a substantial amount of time quietly freaking out about something, getting unexpected good news may well send you straight to the nearest bar to try to process the emotional reversal. 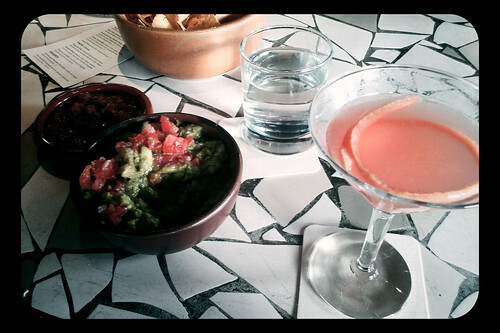 Last week, after spending the afternoon at Virginia Mason Hospital and being reassured by a reliable source that my husband would most likely NOT need a horrible sounding medical procedure, we headed right for Barrio and began consuming celebratory cocktails, including one made of extremely ferocious ghost-chile-infused tequila. Plus a lot of their most excellent guacamole. 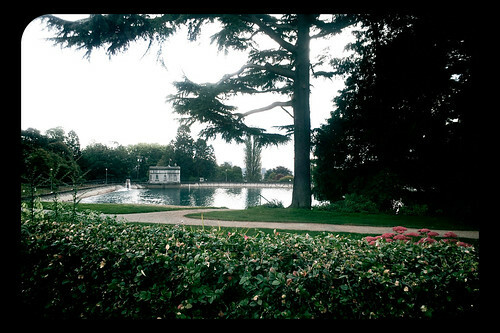 Then we went to Volunteer Park and sat together, enjoying the view. Hooray! That is great news, and I’m happy for you both. I am new to your blog but enjoy it very much, and I LOVE your kitchen! Thanks so much! We’re not completely out of the woods, but things are seeming more encouraging. Glad you like the blog! It sounds like a bit of an uncertain time. My husband has had significant and scary health issues for the past few years.. . .we think he has probably had every procedure, scan, scope, what have you. Things are leveling out. . .sending good thoughts your way! Take care of each other.